Pre-Order Now - Delivery Mid April 2019 Cascade Hop Rhizome Grows well in all climates. Suscept..
Pre-Order Now - Delivery Mid April 2019 Centennial Hop Rhizome Grows well in all climates. Susc..
Pre-Order Now - Delivery Mid April 2019 Chinook Hop Rhizome Grows well in dry, hot climates. Do..
Pre-Order Now - Delivery Mid April 2019 Columbus Hop Rhizome Grows well in dry, hot climat..
Pre-Order Now - Delivery Mid April 2019 Comet Hop Rhizome Grows well in all climates. Typi..
Pre-Order Now - Delivery Mid April 2019 Magnum Hop Rhizome Grows well in warm, dry, sunny clima..
Pre-Order Now - Delivery Mid April 2019 Mt Hood Hop Rhizome Hybrid of Hallertau. 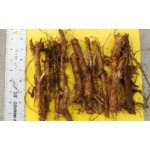 Grows wel..
Pre-Order Now - Delivery Mid April 2019 Nugget Hop Rhizome Grows well in all climates. Typical ..